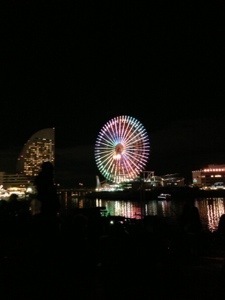 Happy New Year 2013 everybody! My holiday is 9 days this time and after the countdown, the fun is nowhere near over. 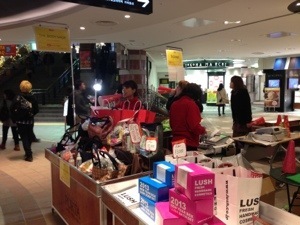 New year in Japan is the time for the biggest sale of the year and the annual shoppers-attractive promotion called “Lucky bag” or Fukubukuro in Japanese. 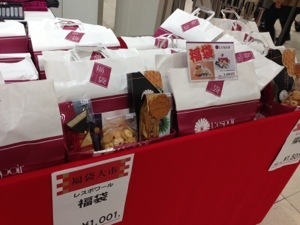 This lucky bag first started in Matsuzakaya department store in Ginza. Each shop would put a lot of stuff in a bag and sell in cheaper price than normal. 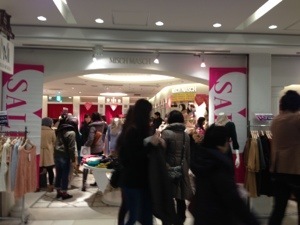 For example, for clothes- 5,000 yen for 6 items, which the real price would actually be around 25,000 yen. The customers cannot know what is inside except some stores that tells people the content of the items but people have no chance to choose color or types. All of the stores have a really good deal on new year and lucky bag is just fun!!! 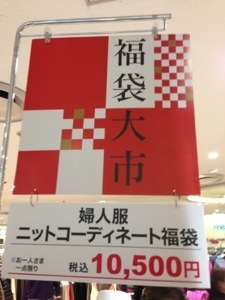 These days every shops offer Fukubukuro. From clothes and shoes to snacks, cosmetics, and so many others. 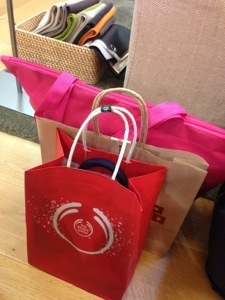 Even Apple has a lucky bag! I heard it is a great deal but people started lining up since the day before. Next year, I’ll try to go line up for Apple too! From the sources I read, it was 33,000 yen and the bag contains so many cool expensive stuff, even iPad or even a MacBook Air for some lucky people! Click here to read more about Apple lucky bag. My 2013 started in a very happy holiday mode! I am enjoying my holiday a lot and sincerely hoping that this year will be a much better, brighter, and happier year for me and for you all as well! Official seal-Inkan/Hanko (はんこ/印鑑) in Japan.